Musk Melons are available in very small sizes. Peel, de seed and cube them. 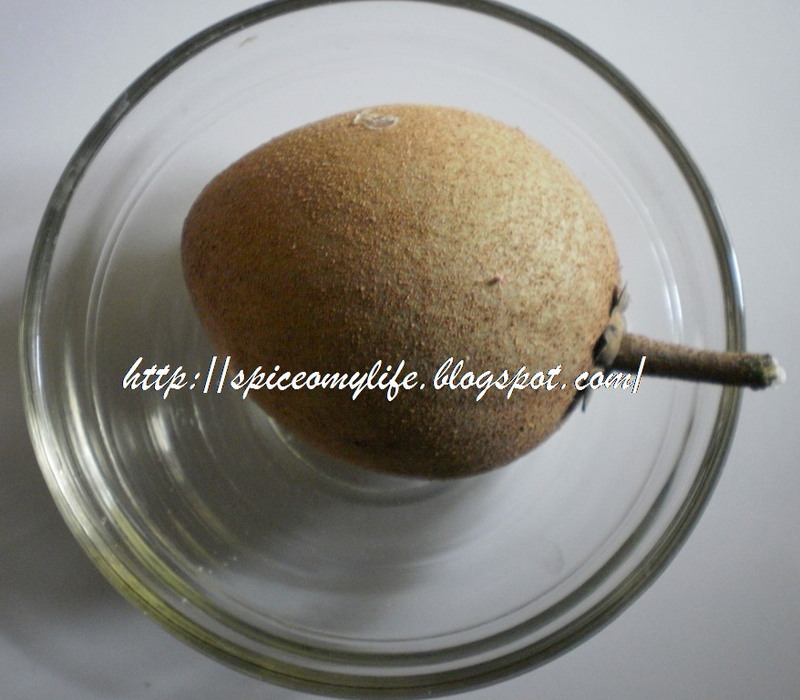 Chickoo as known in Hindi is known as Sapodilla in English and Sapota in Telugu. Peel de seed and cube. 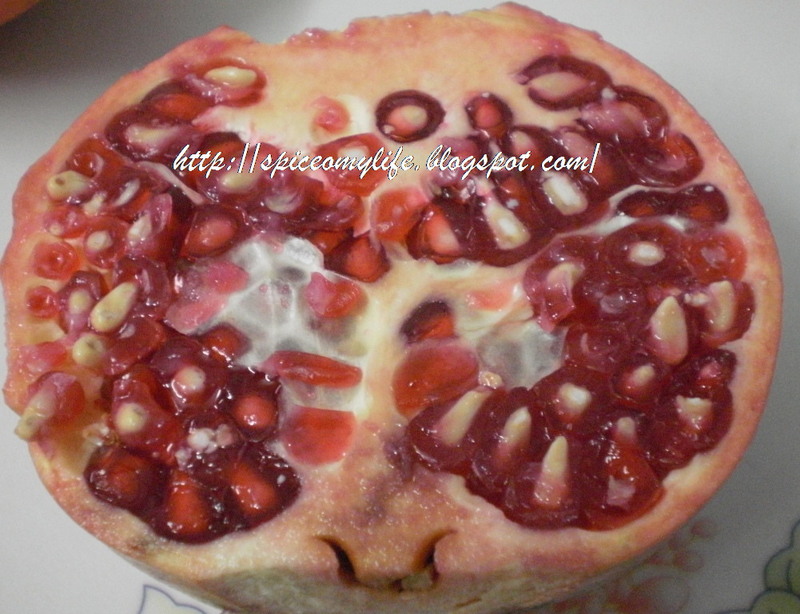 Separate the seeds of pomegranate from the skin and keep aside. You can use any type of grapes. If you are using green, red or black bigger sized grapes cut into halves, de seed and keep aside. Black ones are sweet as well as sour. Small variety of seed less grapes are also available. They can be used as it is. But soak any grapes in water for 10 to 15 minutes rinse well, drain and use. Use roasted and shelled sunflower seeds. In a bowl toss together all the fruit and chill them till serving time. Before serving, add seeds, lemon juice, salt and spices. Toss them well and serve. You can omit pepper powder as chat masala powder is enough for a spicy taste. Mangoes are basically available in two varieties- for juice and for cut and serve. Choose those mangoes which are ideal for cut and serve. Banginapalli or Benishan variety is the best. They are golden yellow in colour with good sweet and tasty flesh and also a great smell. Red and yellow varieties are also good. Alphonso is the most costliest of the mangoes and preferred one. But I don't like that variety.